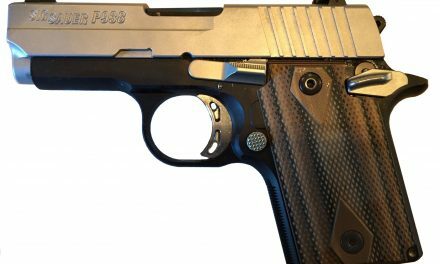 If you’re reading this site, it is highly likely you have a nightstand gun for those mysterious things that go bump in the night. And since it will likely be night, hopefully your nightstand gun includes a light. If you visit my house unannounced in the middle of the night, you will likely be greeted by a dog with big teeth and a .40 cal Glock 22. It’s a long story on how I arrived at the Glock, but I’m certainly glad for the journey to get here. Many years ago, a police officer friend of mine recommended a Daewoo .40 cal, triple-action pistol. Yep, a triple-action pistol. To be sure, I was very intrigued and I was about to attend a shooting course at Gunsite for an upcoming military deployment. So I thought, I’ll give it a go and maybe even troll up some cool points. 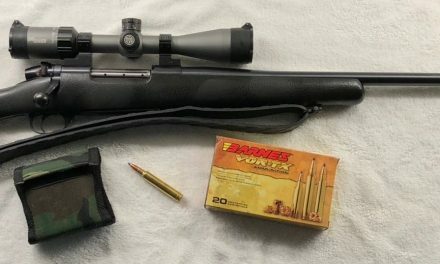 I quickly ponied up $400 to buy this used marvel of technology and just as quickly found my way to several boxes of .40 cal ammo. The next day found me at a nearby indoor range ready to send some rounds down range. The pistol came with two magazines and I had ordered two magazines online the night before. Triple-action, to me, turned out to be really gimmicky. The triple-action feature allowed you to chamber a round, carry the weapon on safe, and then when disengaging the safety and beginning the trigger press, the hammer would drop back to the “cocked” hammer position. This ostensibly allowed you to shoot the pistol with the lighter single action trigger press immediately from the safe position. To be fair, the pistol performed well and shot everything I fed it during that range session. And then came Gunsite. For those that aren’t familiar, Gunsite is the granddaddy of shooting schools. Needless to say, it didn’t take but the first morning on the range to cause the Daewoo to constantly fail to feed. While the pistol performed fairly well, the magazines did not have strong enough springs and when dropping a magazine out of the magwell from a standing position, the top round in the mag constantly flipped around when the magazine struck the ground. The Gunsite instructors quickly offered, and I quickly accepted, to rent a Glock 22. Over the course of the week of instruction, I learned to love the Glock. So much so that as soon as I returned back home, I went to the first gun show I could find and sold the Daewoo (oddly, making $25 bucks on it). 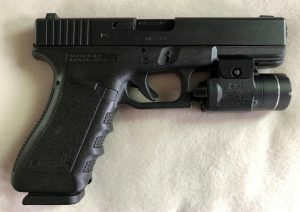 I found a very slightly used Glock 22 with tritium night sights for $400 that I snatched up and headed home. That Glock 22, fifteen years later, now lives in my nightstand. 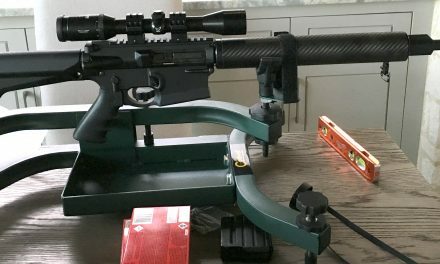 I added a 3.5 lb trigger and an extended magazine release right after returning from Gunsite. I added a Streamlight TLR-3 a few months ago. 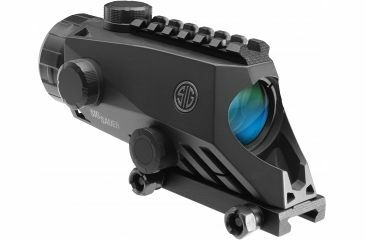 If you are familiar with tritium pistol sights, you know they have a usable service life of about 12-15 years. My pistol has crossed that usable date and the tritium lamps are noticeably dimmer than the new Trijicon night sights I installed in a buddy’s Glock 22 a couple of months ago. At some point over the intervening years, I have also managed to knock the sights out of alignment and only discovered this recently. 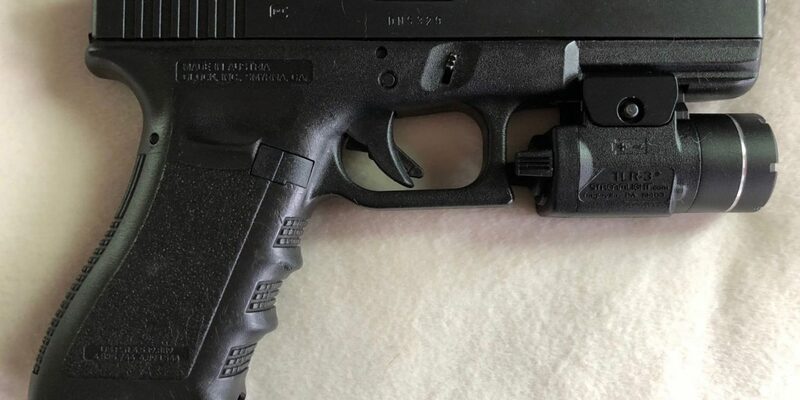 I will be replacing the sights on my Glock in the next few months. Right now, I’m edging towards the Trijicon HD XR night sites, with the orange front site. I’m also considering the Truglo TFX sites. When I finally decide, I will post a review on this site and include lots of pictures.